A few days back, we got the very first official press images of the Samsung Galaxy S10e (Yes, that ‘e’ is in lowercase), which is, if you don’t know, the cheapest of the three phones in the Galaxy S10 Lineup. 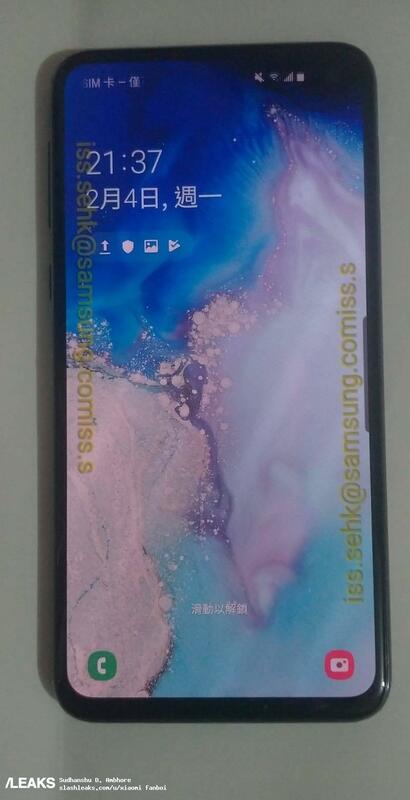 The launch is happening in a couple of weeks, and today, the live images of the S10e surfaced on the web, reconfirming everything. These live images were shared by SlashLeaks, which is a site dedicated solely to the gadget leaks. 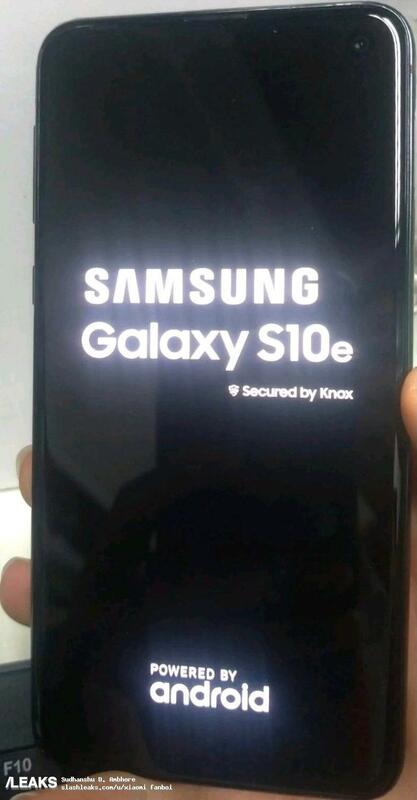 So, as the hands-on images show, the name is actually ‘Galaxy S10e’ and not ‘S10 Lite’ or ‘S10E’. Now we don’t know what this ‘e’ stands for so let us know in the comments what are your guesses. Anyways, the phone does have a noticeable bottom chin, and the side bezels are also not that thin. 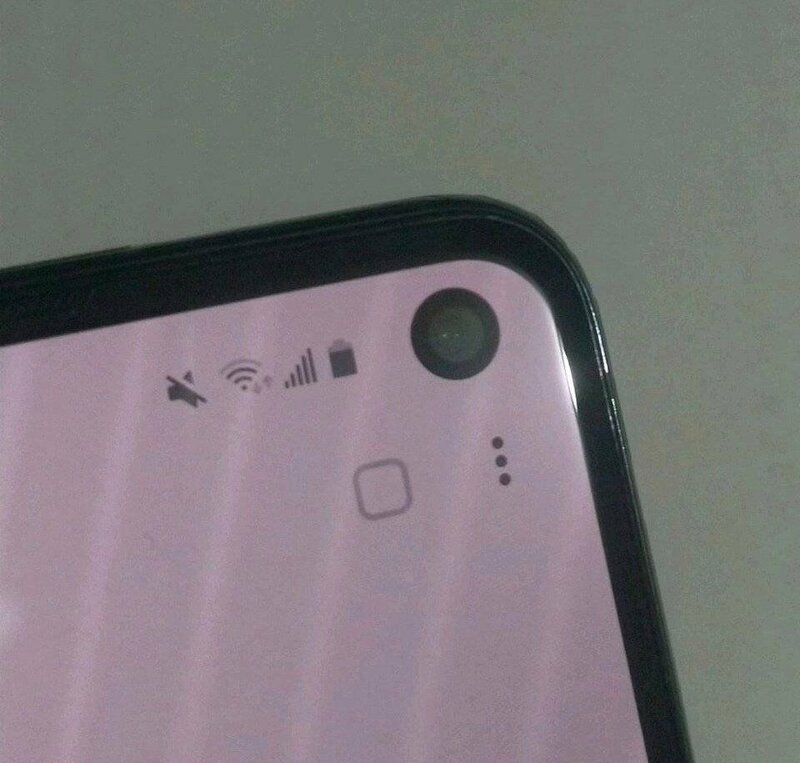 The phone has a hole-punch display, so the front camera is placed in the small cutout on the top right. As you can see, the cutout is not that small, and we can see that black border around the camera lens as well. 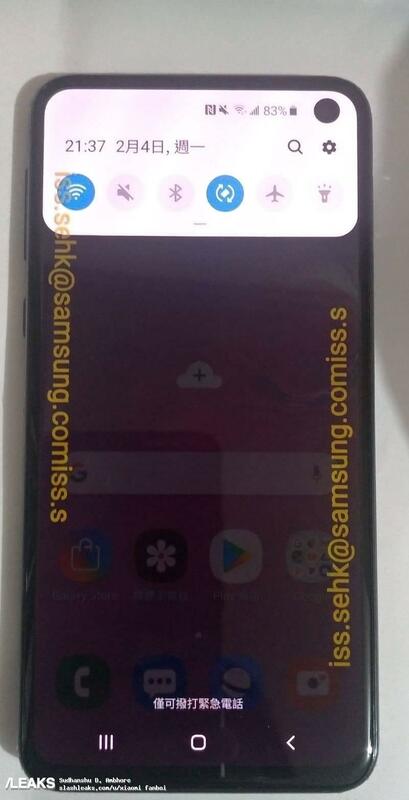 Finally, the display is a flat one and not a dual curved one like on the S10 and S10+. So yea, that’s all these new hands-on images show. We already know that the phone has a side-facing fingerprint scanner, a dual rear camera setup, 3.5mm headphone jack and USB Type-C port. So far, the specs that are confirmed include a 3,100mAh battery, 6GB RAM, 128GB ROM & a 5.8-inch display. The price for the European market will be 749 Euro.